Milton H. Reichert, 79, of Ponderosa Lane, Pine Grove, passed away on Sunday, November 25, 2018 in the Lehigh Valley Hospital Schuylkill East. Born on September 25, 1939 in Pottsville, he was a son of the late Garfield G. and Bertha Zimmerman Reichert. Milton was a member of St. John's Reformed Church, Friedensburg, Pine Grove Masonic Lodge #409 F. & A.M, and Roedersville Gun Club. He was an Air Force veteran having last served with the 3913th Combat Support. He was also a member of the Military Police and was a boxer during the service. 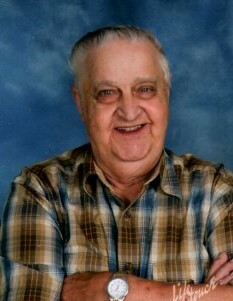 Milton worked as a technician at Gold Mills and retired from the Pine Grove School District where he was the custodian. He loved racing homing pigeons for many years, hunting and fishing with his great grandson. He was an avid Philadelphia Eagles and Phillies Fan, Jeff Gordon Fan and loved watching western movies. Preceding him in death were his wife of 58 years, RuthAnn Shollenberger Reichert on March 2, 2018 and a grandson, Kyle Umbenhauer. Surviving are a son Curtis and wife Trudy Reichert, daughter, Robin Umbenhauer, both of Pine Grove; 5 grandchildren, James, Jr. and wife Jen Umbenhauer, Alicia Desimone and companion Sam Ruiz, Tiffany and husband Soran Ahmad, Maggie and husband Matt Boyer, Melissa Seiger, 5 great-grandchild, Marshall Umbenhauer, Ariella and Colson Desimone, Mason and Mallory Boyer; 3 brothers, Garfield Reichert of Jonestown, Ralph and wife Lucille Reichert, Dale and wife Ann Reichert, both of Pine Grove; nieces and nephews. Funeral Services will be held on Saturday, December 1, 2018 at St. John's Refomed Church, 17 Chestnut St., Friedensburg with Pastor Matt Kenitzer officiating. There will be a viewing on Saturday, December 1, 2018 from 9:00 A.M. until 11:00 at the Church. 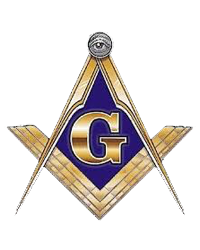 Masonic Services will be held at 10:00 A.M. at the Church. Interment will follow in St. John's Reformed Cemetery, Friedensburg. In lieu of flowers, the family would prefer contributions be made to St. John's Reformed Church, 17 Chestnut St. P.O. Box 58, Friedensburg, Pa. 17933 in his memory.